DISCLAIMER: When reading this post, please follow the “just because they do it, doesn’t mean you should” principle. 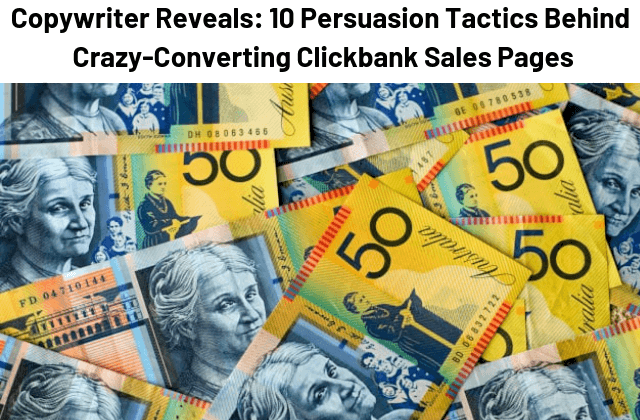 This is a study of Clickbank sales pages that may have very different contexts to your products, so what they do may or may not apply to your situation. Like some sort of digital diaspora, thousands of information products lay scattered throughout the limitless reaches of the web. One of the bigger convergences of info product-related sales pages jostling for your attention (and dollar) is Clickbank, an electronic oasis where merchants die and thrive in their hundreds. For every top-performing product and page, there are dozens lucky to register a flicker of life, with barely a sale or two to their name. Yet, when you first set eyes on a proven Clickbank page, it’s hardly comparable to looking at the sales or marketing equivalent of the Mona Lisa. I mean, would this have you clicking frantically at the “Get Started Now” button? However, there’s a good reason this page is splattered designed in such a way. Back in 2011, Clickbank paid out $2 billion in revenue to their clients (i.e. entrepreneurs selling digital products and courses). That 2 billion figure had doubled in just 3 years, so it’s not hard to guess where it’s shot to today, some 7 years later. The simple truth is, entrepreneurs are putting up pages like this… and people are buying from them. Basically, they’re sales pages on steroids. And we can learn a lot from them if we analyse some of those top-performing pages. So, peg your nose and put your goggles on… we’re going in! NOTE: Just before we leap off the diving board, two important points. I’m not going to comment on the ethics of these tactics, though I’d like to suggest that you use these for good instead of evil. These are all proven, effective tactics, but that doesn’t mean they’re all you need for sales page success. Without the copy fundamentals in place, these techniques are nothing more than lipstick on a pig. This is the headline from a product called “Your Wealth Magnet”. Once you get past the highlighted “REVEALED” intended to draw eyeballs, you realise the language is simple but deliberately descriptive for a reason. Terms like “dead broke” and “abundantly wealthy” (notice how these are subtly highlighted by being black text amongst gray copy) drive home the before & after the copy will talk at length about. By hinting that the mechanism (i.e. how you go from broke to wealthy) is “one simple mind hack” is a pure curiosity-building play to pull you in further. Throw in an incredible benefit or outcome, add a strong dash of curiosity, then mix well. Naturally, there are a few little differences. For example, some headlines use specificity. See how I make money from Home with no boss doing REAL online jobs! But notice that none of them mention the product or a feature. 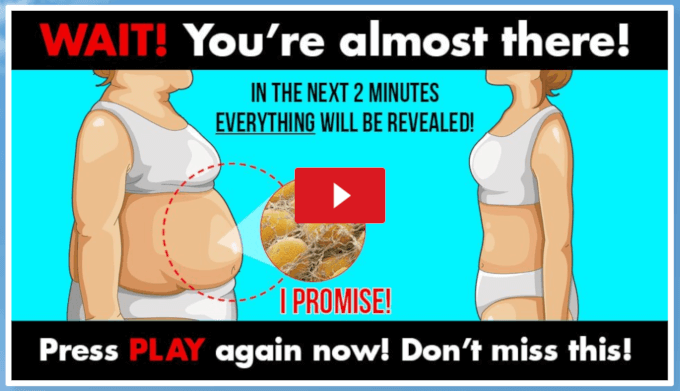 The focus is very much on “here’s a life-changing outcome for you”. There’s no room for shy, wallflower-type headlines here. ClickBank pages are here to sell, and the first step is to not just grab a reader’s attention, but to practically smash them over the head. OK, that’s hyperbolic. But only a little. Some Clickbank sales pages are emblazoned with a bombardment of highlighting that transforms a busy page into a gaudy eye-sore. But like every tactic these merchants make, there’s shrewd reasoning behind it. To be fair, while most of the top Clickbank pages use highlighting, not all of them go overboard. The Unlock My Hips page uses highlighting sparingly, limiting itself to a simple colour change of the copy (rather than an overlaid highlight). …while the highlighting fun continues as you move down the page. 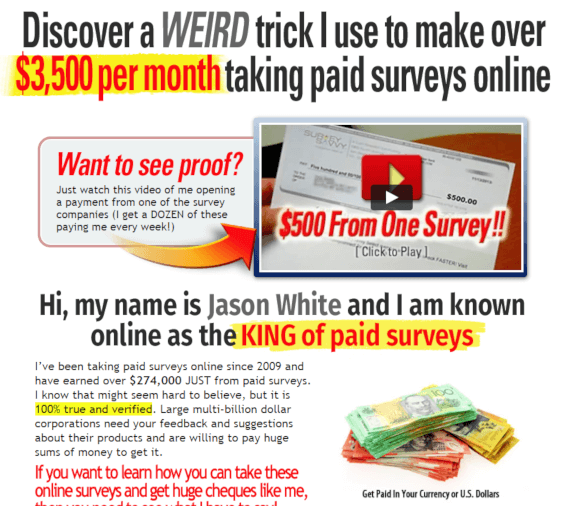 Now, guess which colours you see most often plastered on these Clickbank pages. You’ve got a 3 out of 4 chance of nailing it! Yes, each page is emblazoned with at least one — if not two — of these colours. While it’s a design move that most of us copywriters generally don’t involve themselves with, colour choice and highlighting is a neat example of the intersection between copywriting and conversion rate optimisation. Use highlighting to grab attention, but choose your highlighted copy carefully. On the Take Surveys for Cash page, there are 8 separate instances of bright yellow highlighting. Half of those highlights put the benefit (i.e. “Money! !”) front and centre. Well-written copy evokes all kinds of emotions and reactions from readers. Images also provoke a powerful reaction. When the two work hand-in-hand, you’ve got a persuasive one-two punch that goes a long way to convincing prospects your offering will change their life. 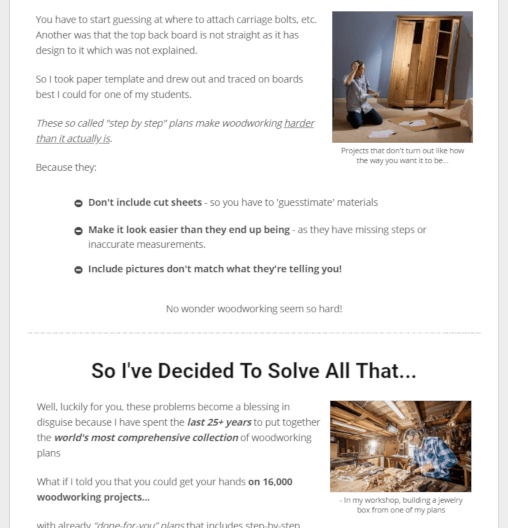 Woodworking isn’t what you’d call the most thrilling niche (apologies to woodworkers out there), but that doesn’t stop all kinds of images used for the popular Teds Woodworking course. Counting the duplicates of the course contents, 27 images and diagrams are splashed throughout the sales page, not counting the half dozen testimonial photos and handful of icons. The thing you notice about the images on the Teds Woodworking page is the mix in the types of image used. They’re not all benefit-driven “here’s what you’ll create” shots, though the tiled montage handles this nicely. Some are feature-ish, “here’s what you’ll get” schematic diagrams. You also have the obligatory “course contents in physical form” images (we’ll talk more about that in the next tactic). Interwoven through the copy, they enhance the messaging and provide a potent visualisation aid for readers. But there’s another reason why images play a powerful part on sales pages: they add credibility. Yes, before & after shots for weight loss products and photos of Paypal accounts bulging with dollars are strong proof elements. But studies have shown simply including a relevant, generic image when you make an argument helps to favourably shape belief. That’s why you’ll find sales page or VSLs littered with evocative images that not only drive the messaging home, but amp up the credibility. Plaster your pages (or VSLs) with relevant images. Is this a “new paradigm” when it comes to sales copywriting? In the more classic style of sales letter, images are few and far between. Take Ben Settle’s “Email Players” page, for example. It’s a typical sales letter-style page with a grand total of 3 images: a solitary one of the author, and two of the product itself. Even the classic “International Living” sales letter that launched the billion-dollar Agora empire only had a few product pictures scattered throughout. But look at a Clickbank page and you’ll see a cascade of colourful images. With the No Nonsense Ted, I counted 26 images before stopping. 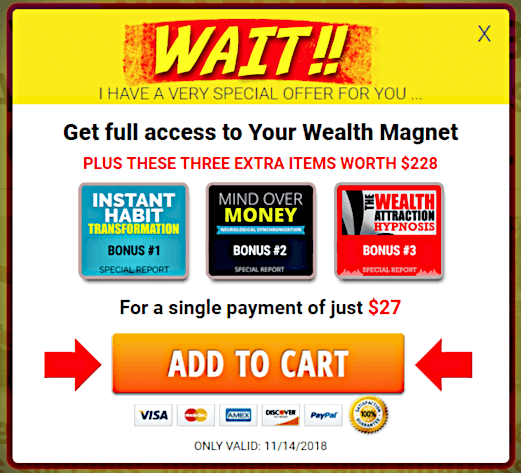 On the Your Wealth Magnet page, there were 22. Clickbank’s most frequently used for selling digital products. The thing about digital products… they’re really just bits and bytes in the form of a PDF or eBook. And when it comes to maximising your sales, that’s a problem. It looks like quite the package of seduction techniques, with at least 6 DVDs, 2 books and a larger workbook. I’m sold! So, what’s the problem this image so ably tackles? Studies show people tend to value physical goods more than digital items. The feeling of “ownership” just doesn’t extend from the real world into digital realms. So, whether you’re buying a language course, weight loss program, or a complete “how-to” on making money online… you’re basically buying a file or two. And putting an image of a digital file on your sales page isn’t going to have prospects exactly salivating with excitement. Representing a digital product as a physical item. You obviously don’t get the products as depicted on the page. But, when you’re reading (or watching) the sales message and you see pictures of “things” you get, it’s another piece in the persuasion jigsaw that moves your mind closer to buying. Of course, Clickbank has to do the legal compliance thing and advise you that the DVDs and books aren’t sitting in a warehouse ready to be shipped to you. If your cursor hovers over the “Digital Product”, you get a little more explanation, but it’s not super-obvious. And it’s possibly meant that way. If you have a digital product, display it in a physical form. There’s not much more to it than that, really. The Internet’s gone a long way to making the “global village” more and more a reality. And that means we’re browsing sites every day that could be in any corner of the world. So, when we see little details like our country’s flag or currency, we automatically know this is an offer that applies to us. And while it’s not a common thing across Clickbank sites, those that do use localisation use it effectively. The Take Surveys for Cash page has two obvious examples of localisation when you land on the page. Being in Australia, I immediately saw the Aussie flag and a pile of lobsters, pineapples and kermits. Again, these are just small touches, but familiarity instantly frames the page for me. And if I try to leave the page, the exit-intent pop-up has more localisation. There’s not much to this relatively basic level of localisation. It’s easy to detect the country of a reader based on their IP address. From there, it’s just a matter of loading the relevant images on the site. Naturally, there are other factors to fully address that objection, but location plays its part. Make design tweaks to localise your page to better accommodate international audiences. Unlike a lot of the other things we’ve covered, localisation changes weren’t anywhere near as common. …turned up on a few of these sales pages. Remembering that ClickBank is an international market, localisation may well be worth using if you’ve got the technical ability to handle it. In this media-drenched day and age, not all content types are equal. A Hubspot survey found 62% of those who answered “thoroughly consume” video, making it the current king of content. Compare that to online long-form content, which comes in at a dust-eating 25%. While content isn’t the same thing as sales copy, it does point to a strong bias in how we prefer to consume media today. 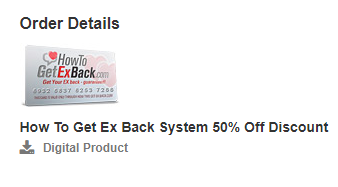 Naturally, Clickbank sales pages have been quick to jump on-board. 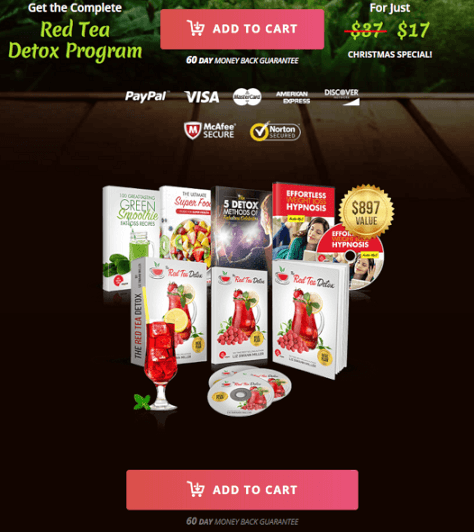 The “leaves nothing to the imagination” weight loss product called Fat Decimator leads with its video sales letter (or VSL), only offering a text-based option on their exit-intent pop-up. You’re treated to a 50-minute long sales presentation, all carefully tailored to grab your attention, build interest, hit your desire buttons and convince you to take action. Equally interesting are the supporting elements around the video. And this was a nice little touch: if you pause the video after starting, the placeholder image updates to encourage you to keep watching. The 5,000-word sales page isn’t dead, but their heyday, at least in ClickBank circles, may be on the wane. Videos are now the sales page. Or rather, video sales letters are now the page. Of course, there’s a massive difference between a “hey, here’s my product” video and an expertly-crafted sales letter presented in video form. And when you watch a few of these videos, you’ll see the classic sales letter architecture in action, with a few twists. The video opens with a “bang”: an attention-grabbing hook (usually in the form of a story) that’s often not immediately clear how it’s linked to the product. Once the story / intro finishes, it “twists the knife” by agitating the problem the product solves, using emotion-soaked language, stomach-turning scenarios and heart-breaking “Don’t you wish you could do something about this?” questions. With more sophisticated or better written videos, you’ll get validation. “It’s not your fault” and “You deserve it” are two very popular themes. This may (or may not) lead into listing alternative solutions, where each one is shot down in turn. And so on and so on (this isn’t meant to be a blow-by-blow account of how to structure a sales page). The point is, these ARE 21st-century sales pages. While many ClickBank pages have both VSLs and text versions, VSL only pages are on the rise, while it’s extremely rare to find any that only run with copy only. Consider whether a VSL can be used to help sell your product (if you have an existing text-based sales page, the answer is probably “yes”). VSLs and traditional sales letters can happily co-exist — you’ll notice the copy versions of a VSL are almost word-for-word transcriptions. That means there’s little reason not to have both video and copy versions of your sales presentation (though your design effort is doubled). Bonus tip: don’t forget to mention that the viewer will get all the answers they need in this “short” presentation… even though your video may run for 30 or even 45 to 50 minutes. 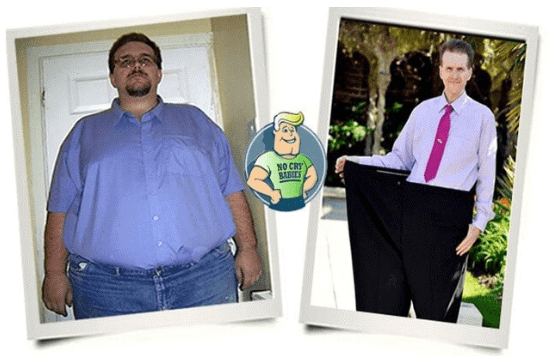 With its ability to capture “before” and “after”, weight loss is the perfect niche for some of the most powerful visual proof you can find. The No Nonsense Ted program uses this to maximum advantage. 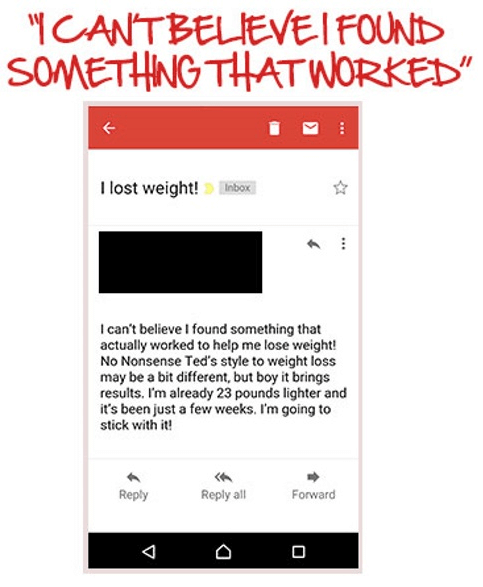 And while before/after is perhaps the strongest proof for their market, No Nonsense Ted doesn’t hesitate to use other elements to strengthen their claims. In fact, their stats at the very beginning of the page reinforces their “overweight people everywhere” argument. However, not every page I looked at uses proof. The Writing for Wealth page is a strikingly compact page that doesn’t have the slightest bit of evidence to show there are “more writing jobs that we can fill”. It feels like they missed a trick. Just because your page goal is aimed at attracting opt-ins instead of sales, it doesn’t mean you can ignore adding credibility. 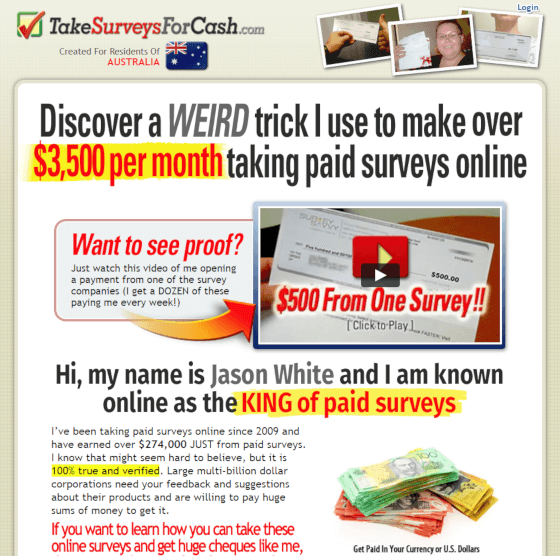 The Take Surveys for Cash site also angles for people to simply opt in, but uses a ton of proof to help make the decision easier. 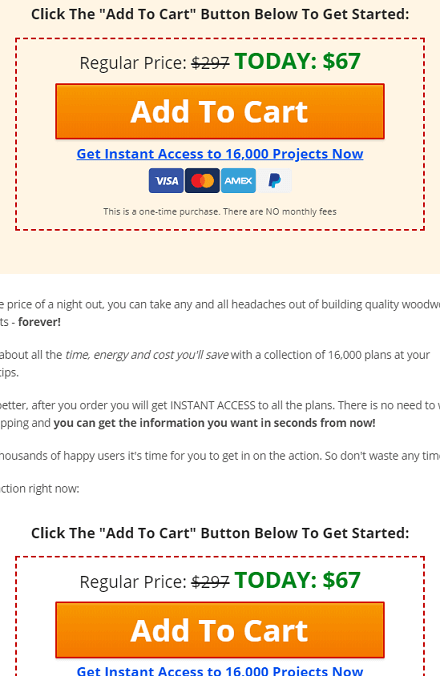 That’s a lot of proof packed into a page that’s relatively short by ClickBank standards. Like any good sales page (ClickBank or otherwise), use plenty of proof. Proof and credibility aren’t just for hyper-aggressive sales pages. Proof elements are an essential ingredient of ANY sales page or conversion-focused copywriting. What’s more, you can use it practically anywhere, from web pages to landing pages to emails to even social media. You know those annoying pop-ups you get when you go to leave a website? Or even worse, those browser alerts asking you to switch on notifications for the site? Yep, you got it. 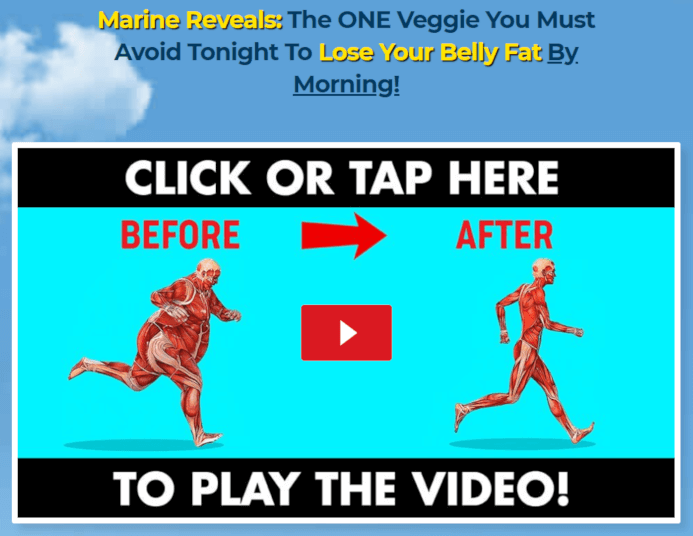 Clickbank sites love to use both. They’ve certainly left no rock unturned to lure you back. But Your Wealth Magnet are far from the only ones who do this, and there’s a good reason why. As Sumo proved in their analysis, exit pop-ups can be super effective in the right context. For sales pages like these, the context is simple: the buyer comes onto the page, and the page goes all pitching to them. The exit pop-up is simply a slightly-tweaked variation of the pitch (e.g. a $10 discount becomes a “very special offer”). Reframing it like this in the exit intent popup is necessary, as the on-page messaging hasn’t been effective. An interesting approach: the $1 bill dominates an otherwise basic design to present a different (and tempting) offer for the person leaving. Like the exit pop-ups, the browser alerts some pages use still aim to serve a similar purpose: stop the visitor leaving the page. Unlike the exit pop-up, the browser alerts stop the visitor by using notification functionality that prevents the tab from being closed until the alert is. It’s a cheeky, last-ditch method to keep the visitor hanging around. Use an exit pop-up to give your page a “second bite at the cherry”. 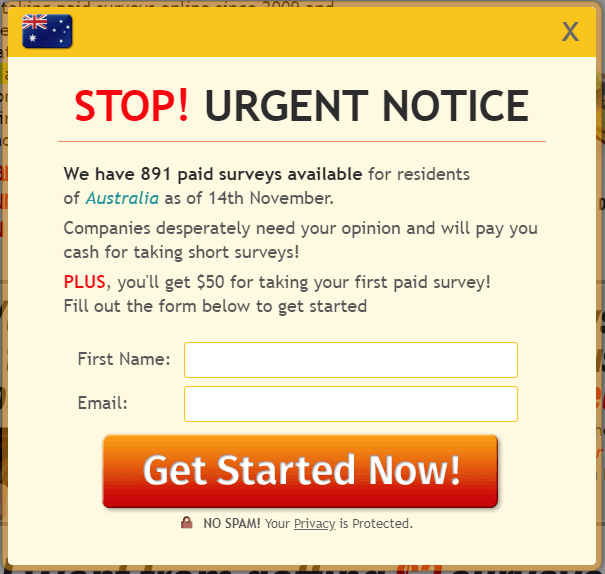 Despite their annoying nature, exit pop-ups statistically prove their worth. Even as your reader’s walking out the door, you can still pull them back with a reframe of your offer or a juicy incentive to win them over at the last minute. Of course, there are reasons to not use exit pop-ups, but with the consensus on top-rating ClickBank pages being to use them, they may well be worth further investigation. Remember the Battle of Stirling in “Braveheart”? It’s the scene where Mel Gibson and his band of Scottish warriors stare down the charge of the English heavy cavalry, with Gibson steadying his troops with “Hold… Hold… “ just before springing their trap. And it’s something Clickbank pages have taken inspiration from when it comes to springing their offer on readers (or viewers). But if that gets you excited, you’re going to have to calm your farm. 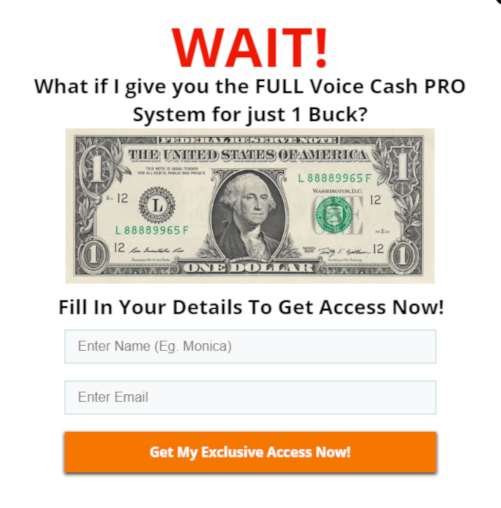 Because to grab this sensational offer, you’re going to have to scroll past..
On a sales page that’s over 9,500 words long and has eight call-to-action buttons, you don’t see the first “Add to Cart” button until you’re past the half-way mark. That means you’ve read through more than a lot of other full-length sales pages before running into a single thing you can click. People love to click buttons and links, because they’re curious. We generally want to know more. As one research paper puts it, it’s almost as if we want information for information’s sake. But the curiosity that leads to “click mania” isn’t often ideal for us marketers. After all, not everyone is planning to buy when they click. According to the “100 audience formula”, a heuristic from lead generation & sales process expert Marylou Tyler, only 3 out of every 100 people exposed to your messaging is ready to buy right now. However, this doesn’t stop the other 97 from “button mashing”, which takes them out of your messaging and disrupts the awareness and sales process. A button too early in our copy means we risk losing their attention, and losing the sale. Sure, we might lose a few hyper-impatient types who want to BUY IT RIGHT NOW. But if the copy’s interesting enough and on a topic they’re already interested in, they’re just as likely to scroll – along with less aware audiences – down the page until they hit a call to action. For a text-based sales page: follow this basic formula. Open with a story behind the product. Delve deeper into that story and include credibility elements (like testimonials or before/after shots), but minus call to action. Talk in-depth about the benefits, the mechanism, what others have achieved with the product… and still don’t offer a call to action. Only after seemingly exhausting your story do you then offer that first Cart button. Intersperse more and more frequent calls to action with “closing” copy, like bonuses, guarantees, and more testimonials or reviews. For video sales pages: hide the CTA. Keeping prospects from premature clicking with a video sales letter is even simpler. Most VSL pages won’t display a link or button for prospects to click on until a pre-set moment in the video’s (often considerable) run time. This might mean 10, 15, or 20+ minutes into the presentation. Without a call to action, you don’t have a sales page. That button or link that leads an excited prospect to the order form is the magic that makes the money, so it’s hardly surprising Clickbank pages go to great lengths to make clicking the CTA as irresistible and risk-free for the prospect as possible. All topped off with a dotted, Johnson Box-style border that helps draw the eye. As I wrote about here, Microcopy around a call-to-action generally aims to reduce risk, convey a benefit or communicate some legalese. The two sticks of microcopy here are primarily benefit-based, talking about immediate access and the price. Reiterating the guarantee helps to lower the risk of buying. The button or link is ultimately what a call to action is about. It’s the door the prospect steps through to buy your product. That’s why sales pages go to seemingly extreme lengths to make it stand out, like using a high-contrasting colour and visual aids (like arrows) to further highlight it. The “Add to Cart” language is fairly standard for these types of sales pages, but it’s surprisingly non-aggressive copy. That said, these pages are often tested to the extreme, so it’s highly likely that this short copy has beaten longer, more “hypey” alternatives. It seems pretty obvious what the payment icons are supposed to do: show a prospect how they can make a payment. But they’re not just there for informational purposes, with at least one test showing they can improve conversions. Being able to trust a site in terms of security is a huge hurdle for many buyers. A study from Baymard Institute showed a lack of trust with credit card info is one of the top reasons a purchase never completes. That’s why, like the payment icons, trust seals can go a long way to tipping prospects over the line. Think of your call to action as much, much more than just a button or link. To really drive home just what you can do with a CTA, here’s another example. To make it easier to digest, I’ve condensed the essence of each lesson into the infographic below. Feel free to download use and re-post wherever you like — all I ask is that you attribute and link back here.